Update: Company is no longer making diapers. I first learned about Lollidoo almost a year ago. 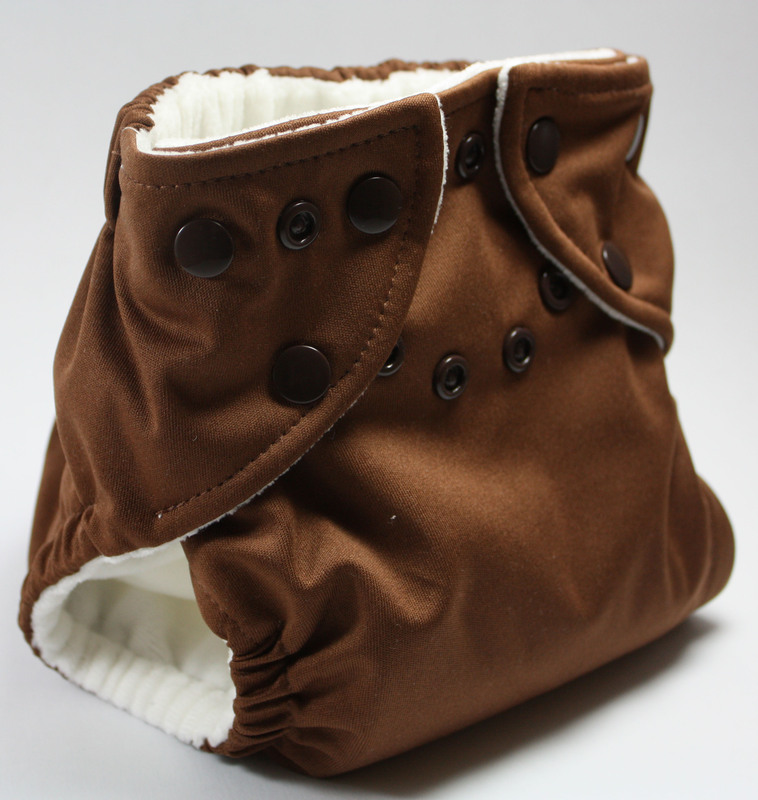 Their diaper intrigued me and I wanted very much to review it for this site. 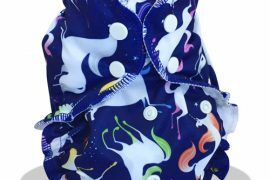 We spoke about a review on email, but it just so happened I would be going to ABC Kids Expo so I got to talk to them in person about their diapers. Melissa and Alison told me about their company and brought me to tears with their commitment to creating a diaper that was made from recycled materials and could be recycled when it had no life left in it. Even more impressive was the fact that they hired mostly single mothers, and were paying them a livable and comfortable wage. I was so impressed with the whole company and had a great time chatting them up! It took a while to get this diaper reviewed, I was originally sent a prototype which in the end differed a bit from the final version, so I was sent that to review as well for the video. 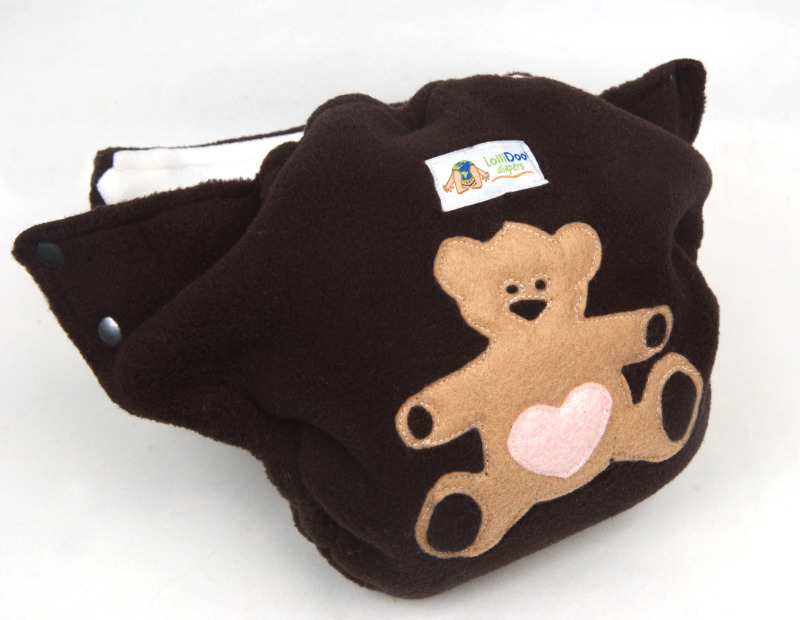 Ease of Use ✰✰✰ The day to day putting on of this diaper isn’t too terribly complicated or difficult. There are 4 snaps to affix for each change. However, since fleece is bulky, it can be hard to do the snaps sometimes, especially if you have larger fingers or hands. Stuffing the diaper is easy because the pocket opening is large, but there were times I had issues getting the insert(s) to lay flat without bunching in the front. This was more of an insert issue… you can use whichever insert you want. Sizing was a little difficult at first because I had to figure out what I was doing. Once I understood the knot and slot system the only challenge was digging through the cottons to find the elastic whenever I needed to adjust. 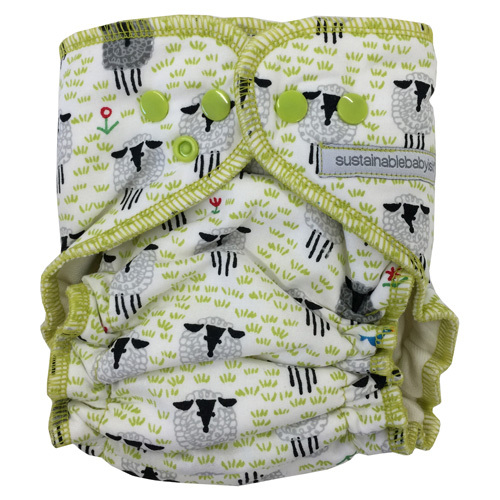 Bang for the Buck ✰✰✰ This is a very unique diaper, not because it is a fleece pocket, because there are others, but because of the materials used to make it and the fair wages paid to their US employees. The price point is between 30-40 dollars without an insert at most places. Buying a Lollidoo means you are not only preventing disposable diapers from making their way to the landfill, but also giving plastic bottles a grand and noble new purpose: catching poop. I also know from talking with Alison and Melissa how important their employees are to them. They make sure they earn a fair wage so they can support their families, many employees are single mothers. And quality is very important too. Performance ✰✰✰✰ I am going to be honest and say I had a few leaks. It took me 3 adjustments with the elastic to get a fit that worked on my son. One leak happened overnight, which always stinks! I should have made sure I had the elastic adjusted correctly with no leaks before I attempted the night test. Once I found his fit we didn’t have leaking issues anymore, including at night and naps. Fleece is a great substitute for wool if you don’t want to lanolize or handwash. Fit ✰✰✰ My time testing the diaper was good once I worked the kinks out. First be aware that fleece is not trim. While I was able to fit the diaper under certain pants, he looked pretty funny in them. It is a good night diaper, so bulk wouldn’t matter then. And, you could go pants free around the house to show off the cute diaper. Waist wise, there were lots of snaps to choose from. The rise does not go as high as I would like. The fit that worked best for us happened to be the last slot available, meaning there are no more rise adjustments left. I’m not sure if he will need it or not since the way diapers fit babies changes even on the same setting, but I’m sure other babies would need a higher rise. Overall- My favorite thing about the diaper is how it is made, and the standards of the company behind it. It is a diaper that works, and many people swear this is the only diaper they will ever use. I prefer a trimmer fit so it automatically gets put in the “overnight” category in my house. 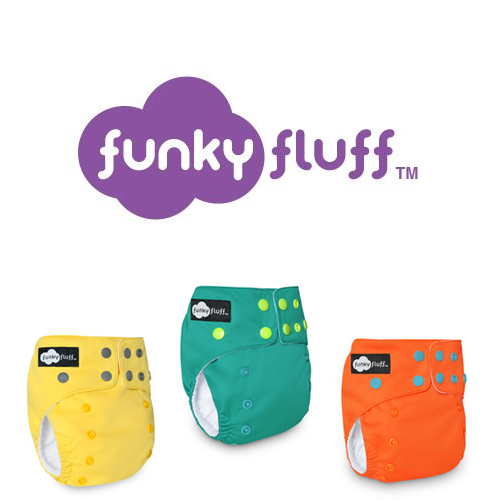 This is a great diaper for babies who might have allergies to suedecloth or who need a breathable diaper due to rashes. I would also suggest never drying this diaper in the dryer, as it can get fuzzy and it won’t look as pretty.